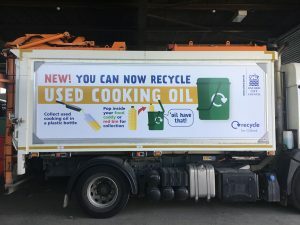 Oxford Direct Services, the commercial arm of Oxford City Council has chosen to fit the Kwikzip range of Changeable Graphics to their fleet of vehicles collecting both municipal and commercial waste around the City of Oxford. 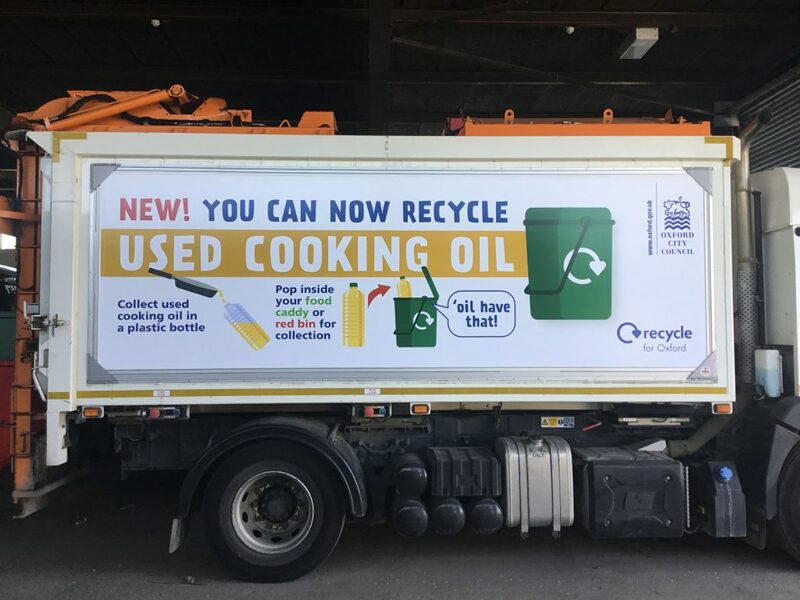 Fighting off stiff competition from other changeable graphic suppliers, EPIC were able to satisfy the needs of Oxford City Council against the budget they were working to, offering real value for money and a changeable graphic system that would stand the test of time. The graphics fitted to the vehicles have been flood coated with a liquid laminate guaranteeing them against fading and breakdown for a period of three years. Speaking on the day of the fitting, Kevin Murton, Managing Director EPIC Media Group stated that “Having met with Ian at OWL Events up and down the UK we were able to build a great rapport with him, when his vehicle graphics came up for renewal he contacted us and we spent time listening to his needs and tailoring our product and quotation to his exact requirements”. Murton continued “After receiving the order we were able to remove the old system, clean the vehicles and replace with our patented frame and graphics, offering a new lease of life to the vehicles, with graphics that look fresh and vibrant and bring the recycling message home to both residents and businesses across Oxford”. To find out more about EPIC’s range of changeable graphics and how they can help brighten your message please call 01732 897430 or email info@epicmediagroup.co.uk.